Despite what the cute adage says, we didn’t actually learn everything we need to know in Kindergarten. God is a mystery we plumb for a lifetime, and a healthy Christian continues pursuing new knowledge, ideas, and practices no matter how old they grow. At Transfiguration, we are enthusiastic about helping Christians of all ages, including adults at various stages of life, delve deeper into the Christians faith and life, and we encourage everyone who calls our church home to find a regular method of learning and growing. Sunday Mornings | 10:15 a.m.
During the program year (September through May), we offer Christian Formation classes for all ages on Sunday mornings from 10:15 – 11:00 a.m.. Adults can choose from a variety of course offerings in multi-week increments on a range of topics. Past classes have included an in-depth journey through the Hebrew Bible, Reconciliation in the Family, and Understanding the Prayer Book. Spring formation classes for adults meet Sundays from 10:15-11:00 from January 20 through May 12. The Old Testament and Second Half classes are offered continuously, and participants can move between these offerings if desired. Our iParentX class is designed for parents with children under 18 living at home; it alternates between short series offerings and rotations, offering flexibility to families with full schedules. All classes will break on January 27, April 14, and April 21. 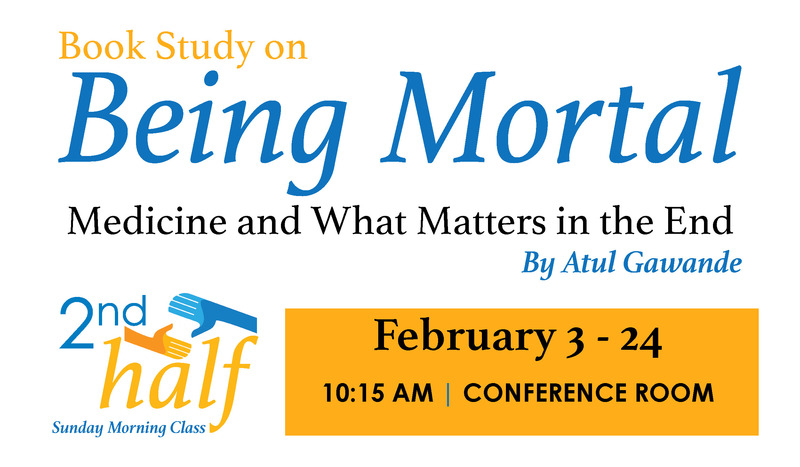 2nd Half, our ministry for those in the second half of life, will begin a book study on the book Being Mortal: Medicine and What Matters in the End by Atul Gawande. This class, facilitated by Nancy DeStefano in the Conference Room, also offers fellowship opportunities once a month. 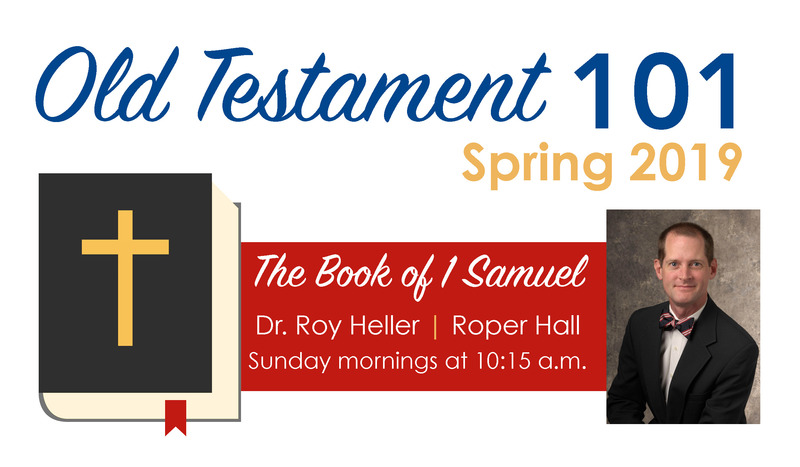 Old Testament 101| Join Dr. Roy Heller, Professor of Old Testament at SMU, as he continues to journey through the Hebrew Bible. This is an opportunity to read the stories of the Old Testament in a large group setting. The class focuses on the stories’ literary beauty, their rich meanings, and the ways in which they are relevant for our own lives. This spring the class will explore the Book of 1 Samuel. 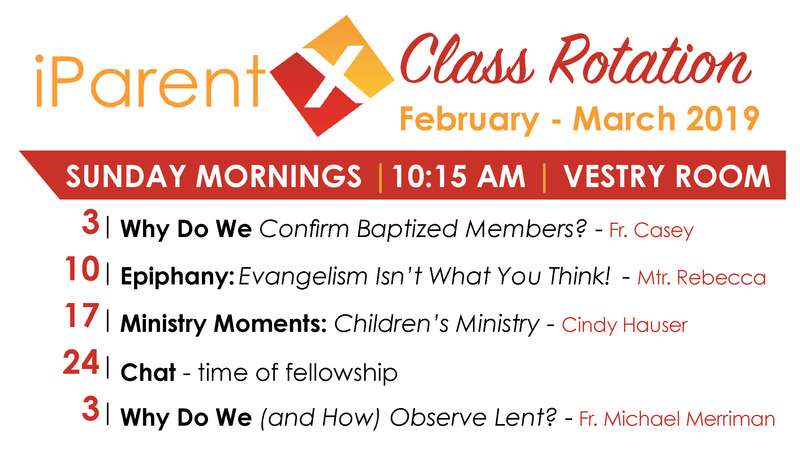 iParentX, our class for parents with children living at home, will have a rotation series through March 3. They meet each week in the Vestry Room. This group also hosts activities for families with kids and outings for parents throughout the year. 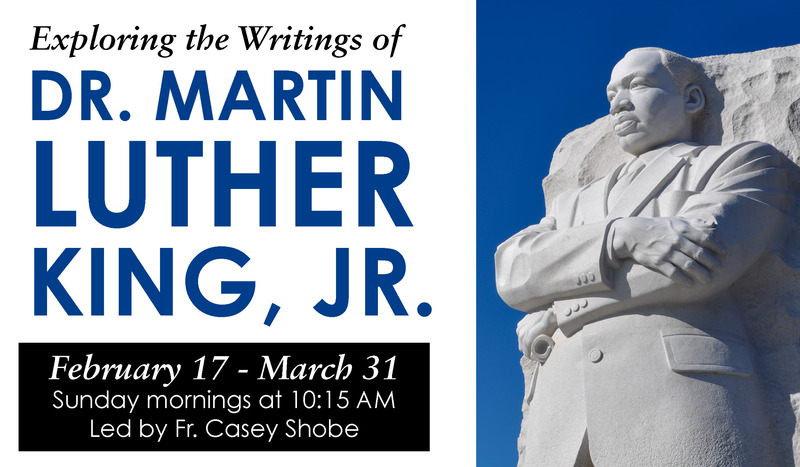 Exploring the Writings of Dr. Martin Luther King, Jr. | In anticipation of the Civil Rights Pilgrimage to Alabama and Mississippi in early April, Fr. Casey will facilitate a seven-week Sunday morning class beginning February 17 to explore the writings of Martin Luther King, Jr. Dr. King’s strength of will and relentless commitment to the cause of justice was instrumental in the fight for civil rights in the 1950s and 60s, and his words continue to resonate with power and truth long after his death. Participants will be invited to read portions of The Radical King, a collection of Dr. King’s writings curated by Cornel West (copies available in the Kay Andrews Bookstore). Additionally, Fr. Casey will share portions of America’s Original Sin by Jim Wallis to provide contemporary historical and Christian context. This class will meet in Conference Room 1.